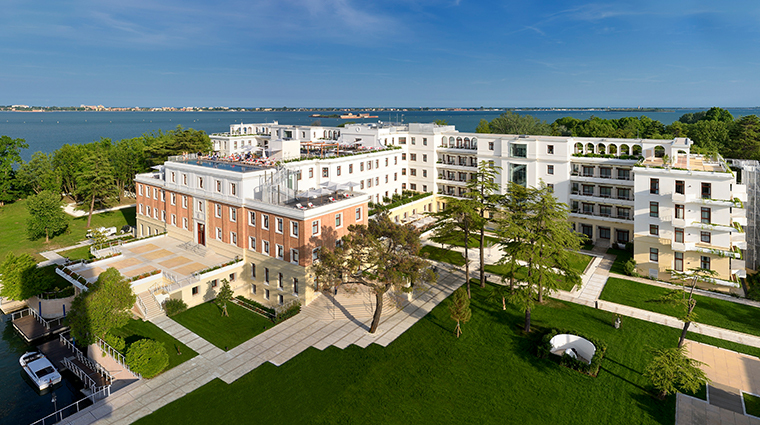 Tucked away on the private Isola delle Rose, JW Marriott Venice Resort & Spa will take your Italian getaway to the next level. 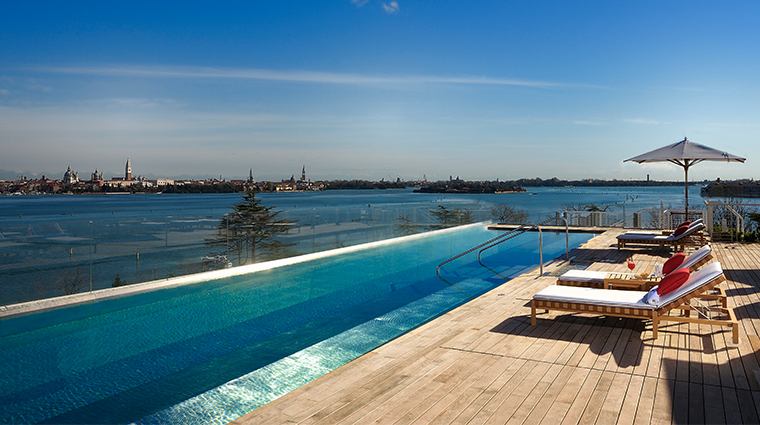 From top-notch dining at Dopolavoro Dining Room and a rooftop pool deck to the expansive spa Goco, this palatial hotel is filled with swoon-worthy amenities. The hotel’s accommodations are broken up into five separate areas, so you can customize your stay. The main building houses rooms and suites with garden views. 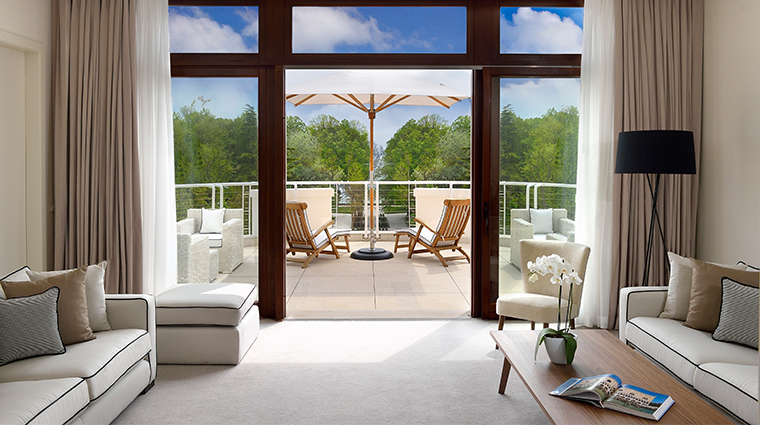 Some also offer water views, and most suites feature a balcony or terrace. La Residenza is close to the lagoon and is ensconced in greenery, with views of the water and the cityscape. L’Uliveto is surrounded by a century-old olive grove, providing an upscale oasis. La Maisonette features modern, loft-style accommodations with private terraces and gardens. 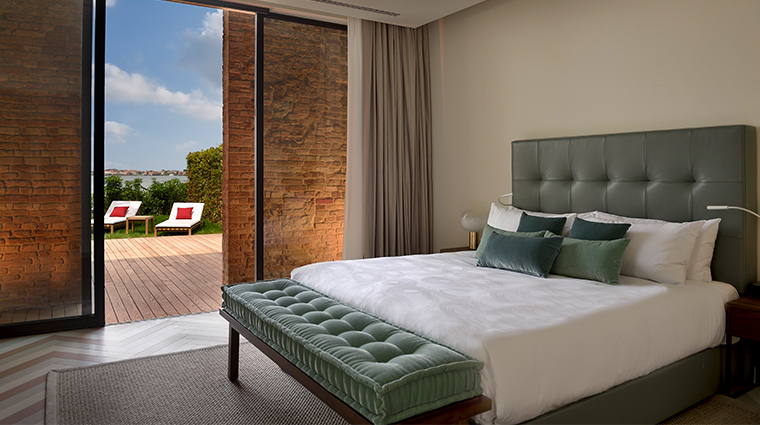 La Villa boasts a two-bedroom Presidential Suite with a secluded garden and a private pool with views of Venice and the lagoon. • Goco Spa certainly delivers an intensely relaxing pampering session. Enjoy the amazing weather in an outdoor vitality pool and bask in personalized rituals from the renowned wellness brand. 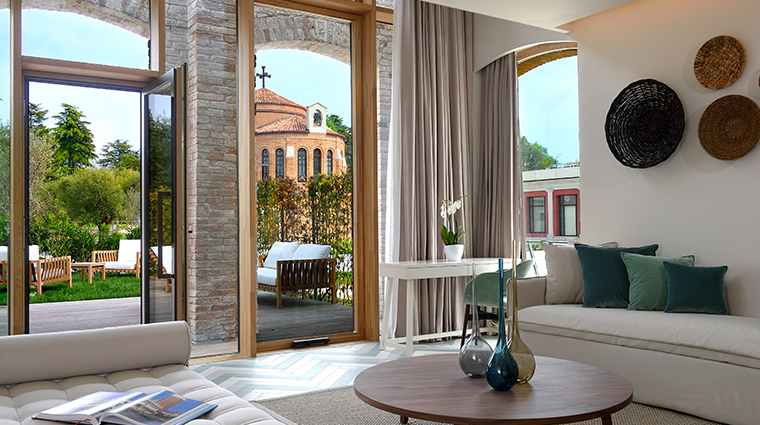 • From cooking classes to only-in-Venice tours of Murano glass factories, the luxury hotel arranges curated experiences tailored to the season. Reserve your spot in advance via the concierge as spots fill up quickly. • For extra seclusion, book accommodations outside of the main building. Select suites in La Residenza, L’Uliveto and La Maisonette have luxe private areas like a garden or pool to keep you relaxed. • The Venice hotel has a dedicated recreation team to make sure the little ones are entertained with daily indoor and outdoor activities. • There’s a Kid’s Club, family-friendly cooking classes, a sports field and bike excursions to round things out. • Sagra Rooftop Restaurant offers a kid’s menu, and Giardino Restaurant features a fun picnic in the park option.